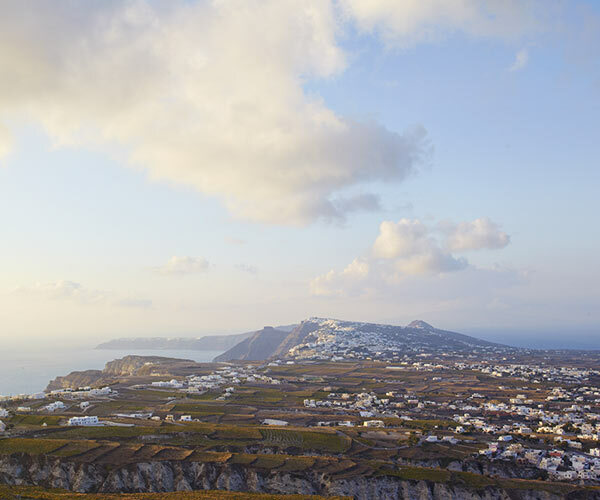 The village of Pyrgos Kallistis, meaning the most beautiful castle, is a spot on the island of Santorini with rich history and a distinct aura. During the medieval era it was one of the five castle cities established on the island to protect the inhabitants from pirate invasions. The castle of Pyrgos was the last of the 5 castle cities that were built in the island. Its position on the top of the island made it the strongest of the castles on the island. The walls of the houses formed the protection line of the village. On the top of the Pyrgos a castle was built where today stands one of the most impressive churches on the island. Tip: The main entrance of the castle is just a few steps away from the entrance of Zannos Melathron. During the 17th and the 18th centuries Pyrgos was one of the most prosperous villages of the island and the wealth of the citizens can be witnessed through the village’s mansions. 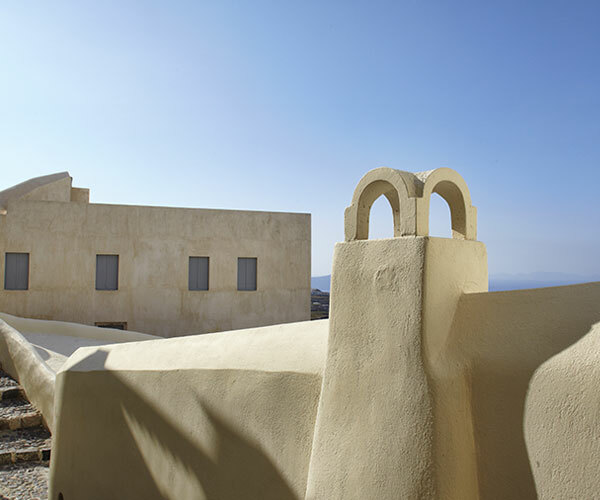 Zannos Melathron stands out for its architecture and its powerful lines; a truly representative sample of the era’s beauty. Outside the Zannos Melathron the main café of the village was built, where the people of Pyrgos village were gathered to discuss and enjoy the atmosphere of the village. 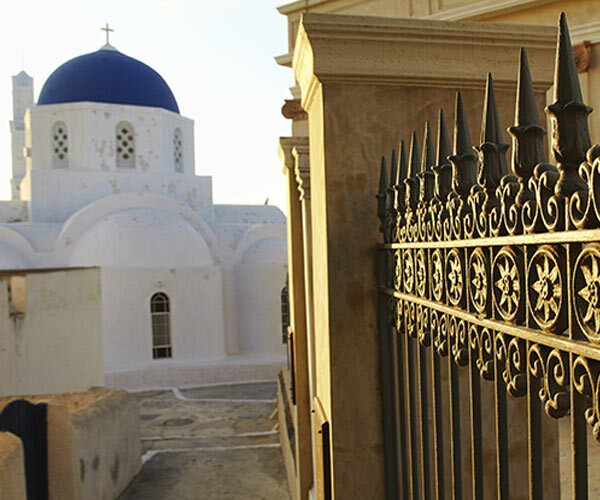 Today Pyrgos still encapsulates the aura and the atmosphere of a charming, romantic and nostalgic era. Thankfully, a series of actions for the preservation of the cultural life of the village are organized every year. Visitors of Pyrgos today enjoy long strolls in the picturesque alleys of the former castle city and capital of the island, admire the lovely churches, visit the museums and have a coffee at the squares under the shadows of the steeples.